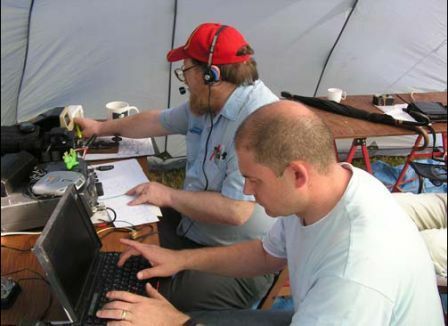 Within CATS, a small but enthusiastic band of volunteers regularly participates in a number of contests, mainly on VHF and UHF. Every month, UK All-Comers (UKAC) contests are held. Always on Tuesday evenings (although this may change for the 50 MHz event) a different band is featured each weekly on a rotating monthly basis. Various CATS members, as time permits, participate in these events each of which lasts from 8:00pm to 10:30 pm each evening. Recent CATS contest pictures, are available at the CATS Facebook page. Click to visit.